Cloth, Wiping is an impregnated cloth used by jointers or splicers, for wiping and finishing the solder on lead sleeve joint closures. I would like to introduce our company, U.S.Clothing India Pvt. Ltd. which has been in the business of used clothing for the past (8 years). We have a well-established track record and our products have always met with great customer satisfaction. Different kinds of Wipers are made from different used garments and finally used for Cleaning, main big users are Car Industry, Mining Industry etc. 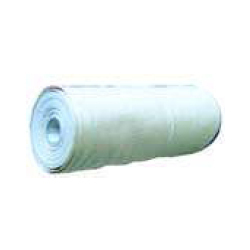 White Wiping Cloth 14", Size: 14" To 24"
Enriched with years of experience in the industry, we are engaged in offering Cotton Wiping Cloth. Cotton waste T - Shirt Cloth .Colour T - Shirt wiper. Colour Sweet Shirt Filish Wiper. Heavy Cotton, Hosiery Wiper. White Printed T - Shirt Wiper, White T - Shirt Wiper, White Cotton Wiper. Banyan Cloth Waste. Banian Cloth Waste. Towel Wiper. Light Cotton Wiper. Fresh color wiper cloth our premier polishing and wiping cloths without sticking, manufactured from 100% Cotton single knit fabric. These wipers are cut from brand new virgin cloth to a size in between of 10 inch X 10 inch to 20 inch X 20 inch. 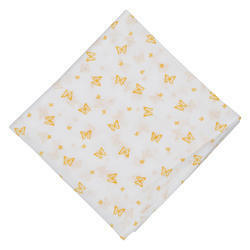 These are suitable for any application where a soft absorbent cloth is essential. Available in 50 kg. packing. We offer a wide range of Hosiery Cloth Wipes. Prior to procurement, the entire range is stringently quality tested on various parameters of stitch, material used, durability and many more so that we are assured of its quality. The range is well stitched and is available in different sizes as per the needs and demands of our clients. - 100% polyster knitted fabric.